A place for food, family, and fun! September 21, 2018 By Aileen Leave a Comment This post contains affiliate links. As an Amazon Associate and member of other affiliate programs, I earn from qualifying purchases. 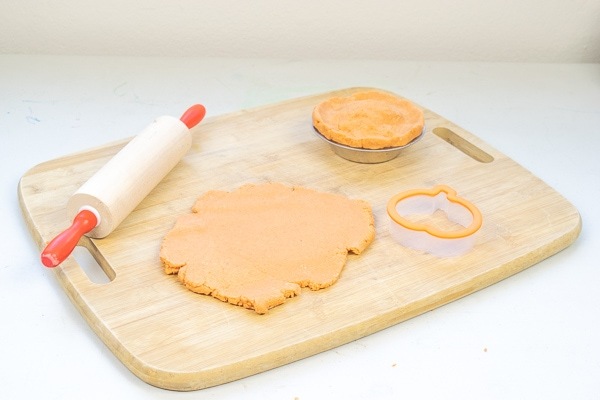 Whip up a batch of this festive pumpkin pie playdough for the little pumpkin in your life. It’s easy to make with simple pantry ingredients and the pumpkin spice scent is perfect for Fall! I just love making homemade playdough. Not only is it easy to make, but a new batch of the homemade stuff tends to keep my kids occupied for a long time. As much as I love making homemade playdough, we also buy loads of Play-Doh from the store, too. It’s one of Allison’s favorite things to play with and she asks for “Doh-Doh” every single day without fail. Now that I have made a batch of homemade pumpkin playdough for her, I think I will be doing it more often. My next batch may be this Sparkly and Scented Playdough. I haven’t made it since before she was born and I think she would really enjoy it. 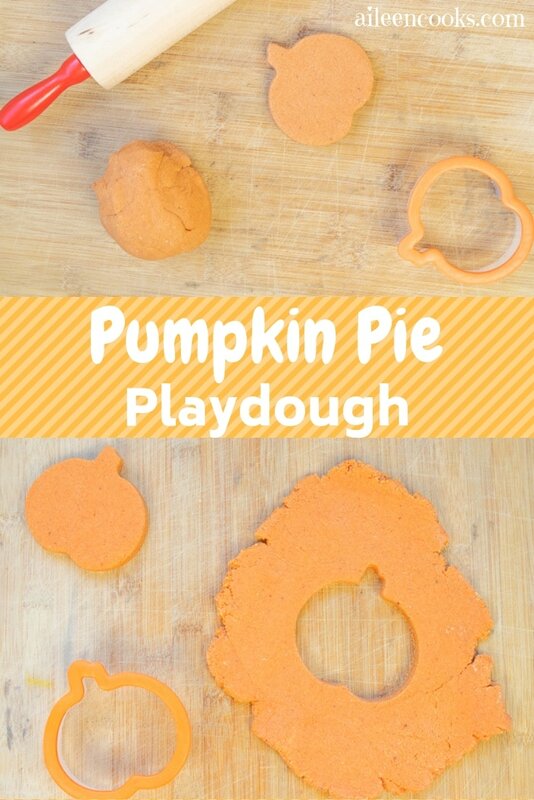 Anyway, back to the pumpkin pie playdough. This playdough is called pumpkin pie because of it’s color and it’s scent. I used a generous amount of pumpkin pie spice in this recipe to make it smell like a freshly baked pie. I played around with the coloring to make it look like real pumpkin pie. The food coloring I used was gel food coloring. I mixed mostly yellow with some red to get to this color. 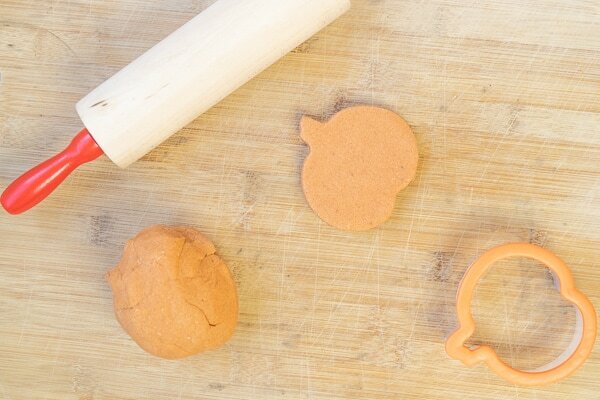 A fresh batch will keep most kids occupied for a while – homemade playdough is almost magical that way! You can customize it any way you like with different colors and scents (like this Kool-aid playdough recipe). Homemade playdough is actually very easy to make. The hardest part is stirring it on the stove when it starts to pull together. It’s all worth it when you get to the end result. It makes a huge batch, so you don’t have to worry about the colors mixing together right away. There is also enough for more than one kid to play with the same batch. If you’re into cooking with your kids, you can get even the littlest kids involved with this recipe. You know exactly what is in it: all pantry ingredients. So, if you have a curious child who wants to taste it (like mine) – it won’t hurt them. 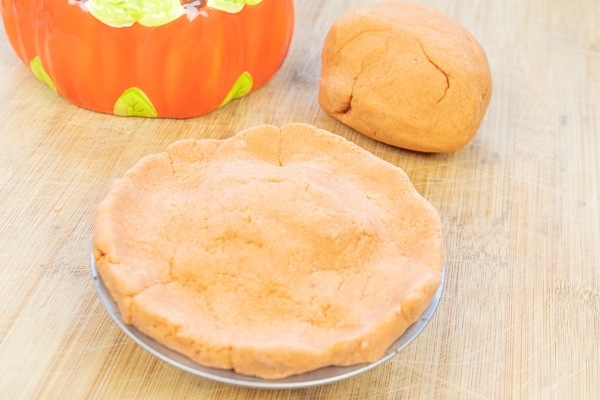 What is in Pumpkin Pie Playdough? Start with a medium saucepan. Pour onto a clean surface and let cool just until you can tough it – about 1 minute. Knead until smooth and no longer sticky. 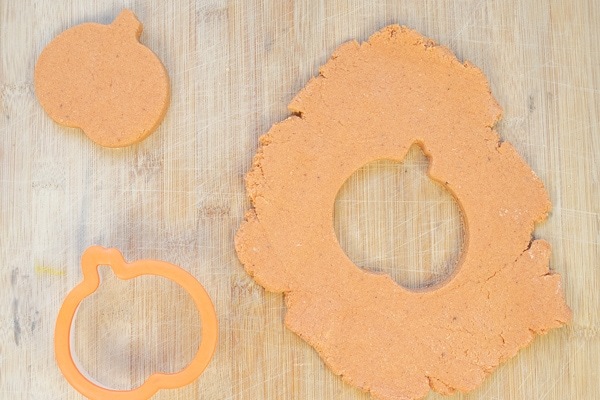 Note: Store pumpkin pie playdough in an airtight container when not in use. It should stay fresh for 3 months. 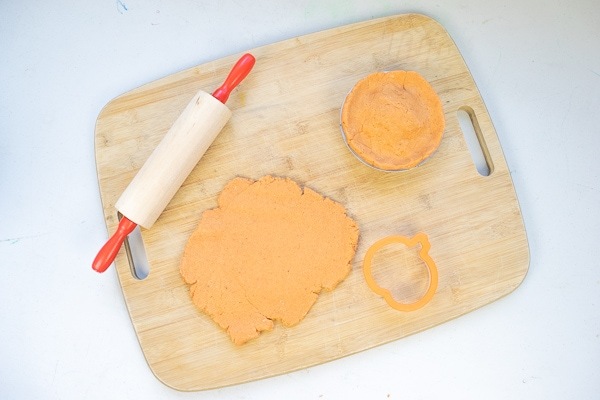 I love how this pumpkin pie playdough turned out. It is so soft and smells great. It also made a big enough batch that both of my daughters had plenty to play with. Hi, I'm Aileen. I'm married to the love of my life and mom to three busy kids. My mission is to help busy moms cook good food and enjoy their families. I invite you to check out my long list of recipes, fun projects (for kids and moms), and honest posts about motherhood. We will send you our Slow Cooker eBook just for signing up!